The Kiprunning Sports Club, sponsored by Under Armour, is a Washington, DC-based running club that competes in racing events throughout the DC metropolitan area. 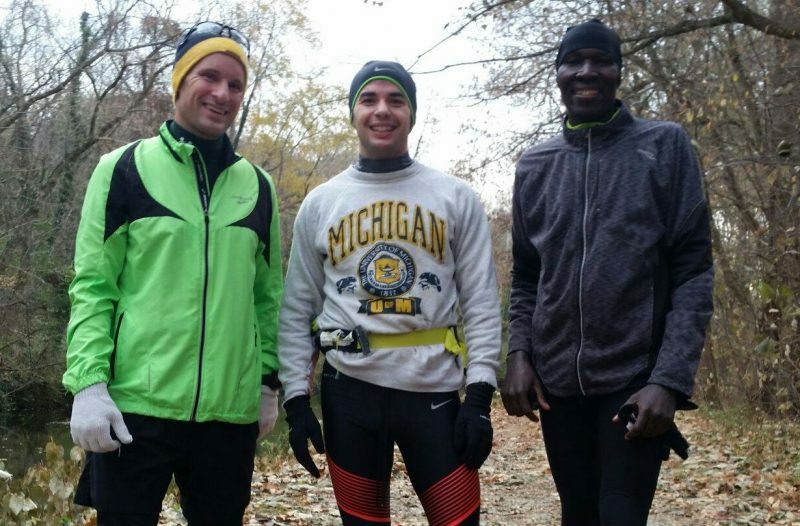 The club is primarily geared toward post-collegiate and adult competitive distance runners who are focusing on road racing distances between the 5KM and marathon. To become a member of the Kiprunning Sports Club, you must have accumulated more than two years of running and road racing experience. In doing so, you should have successfully completed at least two USATF certified races in each of the major incremental distances leading up to the full marathon—5KM, 10KM, and half marathon—in accordance with the club’s qualification standards. Ideally, Sports Club athletes will have also attained marathon racing experience as well. If you are new to running, and are interested in working with Coach Wilson, please consult his services page for information about how you can begin your training. If you have additional questions, please contact Coach Komen.